The question of ‘what works’ in offender treatment has dominated the field of prisoner re-entry and recidivism research for the last thirty years. One of the primary ways the criminal justice system tries to reduce the rates of recidivism among offenders is through the use of cognitive behavioural programs (CBP) as in-prison intervention strategies. The emphasis for these programs is on the idea that inmates are in prison because they made poor choices and bad decisions. Inmates’ thinking is characterized as flawed and the purpose of the program is to teach them to think and act in socially appropriate ways so they will be less inclined to return to prison after their release. 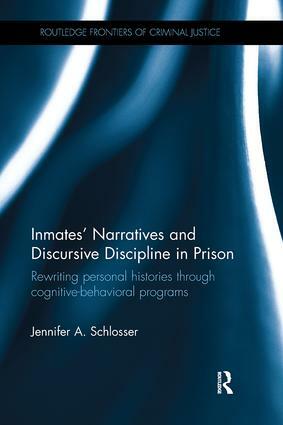 Based on original empirical research, this book provides realistic suggestions for improving policy, for reforming current in-prison programs engaging in problematic practices and for instituting alternatives that take the needs of the inmates into greater account. This book is essential reading for students and academics engaged in the study of sociology, criminal justice, prisons, social policy, sentencing and punishment.